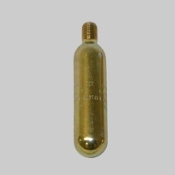 CO2 CARTRIDGE - 29 GRAM, MILSPEC - BOX OF 12 CARTRIDGES BUG-OUT BACKPACK - CLEARANCE SALE!!! SAVE $30.00 NOW!!! BUG OUT BACKPACK - DESERT SAND COLOR. CLICK ON PHOTO FOR DESCRIPTION. CLEARANCE SALE!!! JUST DISCOUNTED $30.00 ON THE BEST BACKPACK YOU CAN BUY!!! PRICE WAS $102.00, THEN $82.00, NOW ONLY $72.00!!! ONLY THREE LEFT IN STOCK!!! THESE ARE GOING FAST! GET YOURS BEFORE THEY'RE GONE!! !